Posted on July 16, 2015	by Derek "Gamer Crash"
The epic and tragic saga between legendary developer Hideo Kojima and his (former) parent company Konami has taken a new turn this week. While we still don’t know the origin story of this tale, things have gotten real ugly over the past few months. As I previously mentioned, the situation has gotten so bad that Konami kind of went on a salt the Earth campaign, removing Kojima’s name and brand from just about everything he was attached to. Worse yet, Konami’s response even extended to non-Metal Gear games as they cancelled fan favorite horror title Silent Hills (formerly P.T.) that he was co-developing with filmmaker Guillermo del Toro. The situation is almost like a celebrity couple, once in love and very happy but now going through a very rocky and public breakup. Would Konima or Kojami be an appropriate celebrity couple name for them then? In all seriousness though, the situation has become incredibly bizarre. 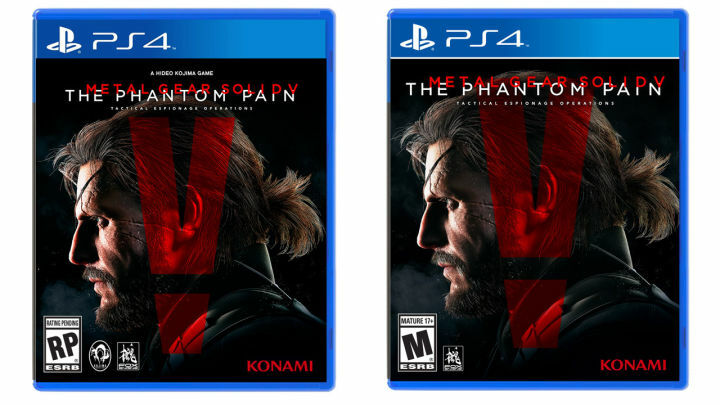 While there’s been a relative calm these past few weeks, it appears the controversy is ready to strike back up as new box art for has appeared online and the Kojima Productions logo has been entirely removed along with the “A Hideo Kojima Game” slogan at the top. It’s a strange thing to do at this phase of development, especially considering the box art was previously revealed with all of that information on it. So what happened recently which spurred this on? It feels almost petty on Konami’s part, like a child saying they’re taking their toys and going home. It really makes you wonder if or when we’ll ever get the full story on what happened between these two and why it essentially ended their long running relationship. Seeing how quickly and forcefully Konami is removing any and all instances of Hideo Kojima is somewhat alarming. What could he have possibly done to warrant this type of response? What we’re seeing here is basically unheard of. Part of me wonders if this thing is really going to come to a head in September once the game is on the shelf and Kojima is basically done with the game. Buckle up folks, I’d say this won’t be the last time you hear from these two. This entry was posted in News, Opinion and tagged news, Opinion, other. Bookmark the permalink. I doubt we’ll ever get the full story, but I wonder if it’s a legal thing at this point? Perhaps something about how they can’t put Kojima’s name on the game without permission and paying for it? Who knows?